So you’ve been reading various blogs (including this one) for awhile now and had this nagging feeling that you might want to share your thoughts on running/food/life/cooking/etc. with more folks than your immediate circle. You’ve finally decided that you are ready to start a blog. But…you then realized you have no idea where to start. I’ve been there and I understand. 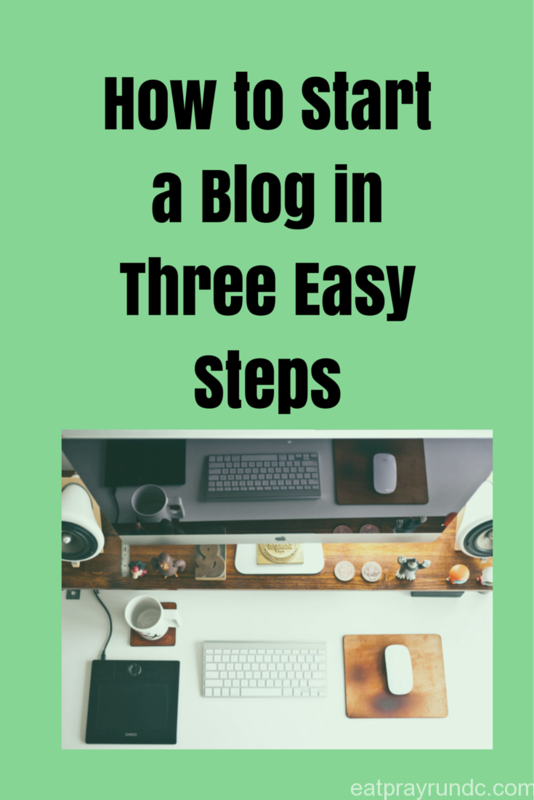 Luckily, you can really start an awesome blog in three easy steps that I’ll outline here. Domain and Hosting. The very first step is one of the most fun steps, in my opinion. You get to pick the name of your blog! 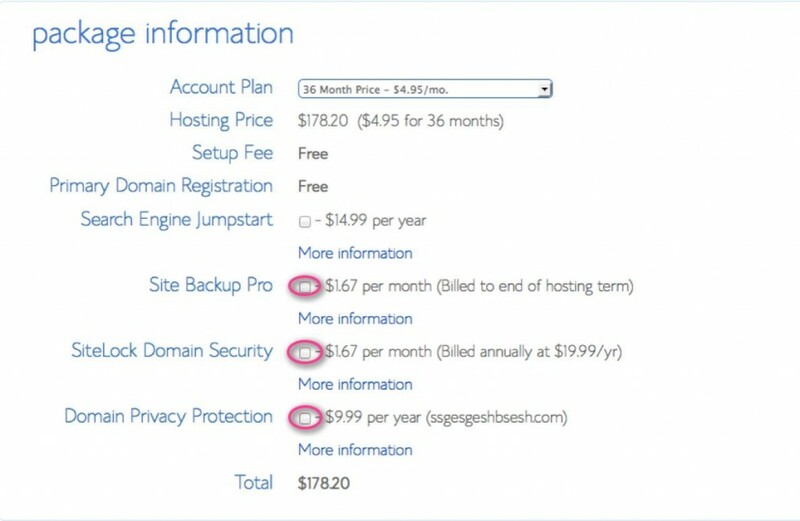 Start by going to the Bluehost website. Click here to get there. Your domain is basically the name of your blog – your address, if you will. My blog domain is http://eatprayrundc.com. You will spend a lot of time staring at your domain and you want a great blog name that will draw in readers. 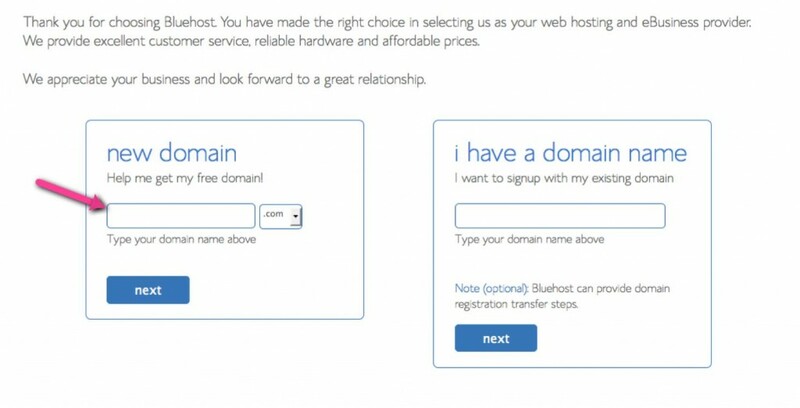 Once you have gotten a few ideas for your domain name (in case your number one choice is already in use), head over to Bluehost. 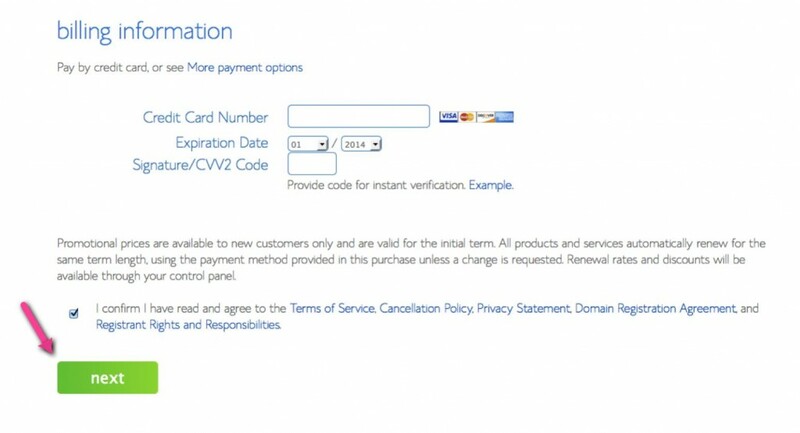 Once you’ve entered in your domain name (with a .com ending), click the next button. In terms of how long of a package to sign up for, that’s up to you. I signed up for one year initially, but when my year is up, I’m going to renew for the cheapest rate (which is 3 years). Signing up for site backup pro, domain security and domain privacy protection is entirely up to you — I didn’t and I’ve been fine (but I do use an online backup system). Once you’ve made all those choices, you’ll be taken to the payment screen. You’ve made it this far and are doing great — now you’re moving on to step two! 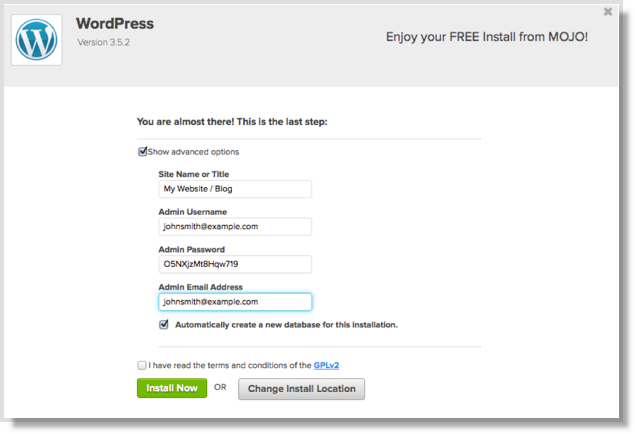 Install WordPress. WordPress is the most popular blogging platform. You have probably seen many bloggers post about transferring from another platform (like blogger / tumblr/ etc.) to wordpress because wordpress is so widely used and so user friendly. It just makes sense to start off with wordpress since the transition process from another platform can be onerous. 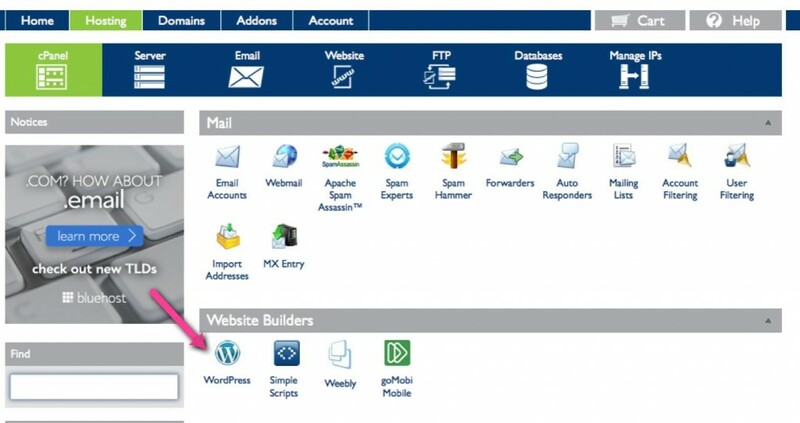 Once you are logged in to your bluehost account (you should have received an email with login instructions after setting everything up in step one), you will go to website builders and click on wordpress. 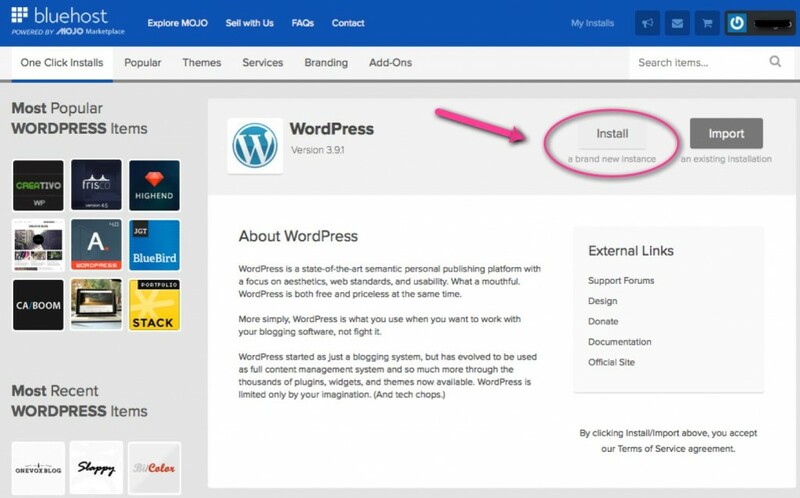 You’ll be asked which domain you want to install wordpress on and your brand new domain should already populated in the box. Leave that box next to it blank. After you click the green “check domain” button, you are almost done! When the next screen pops up, make sure that the “show advanced options” box is checked. 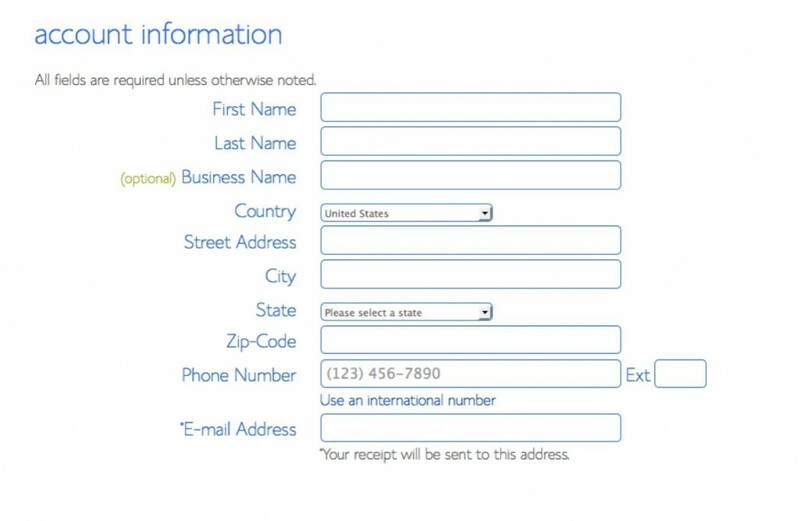 Fill out all the boxes and make sure you write down your admin username, email address and passsword. Keep this information someplace safe! Click the box to agree to the terms and conditions and then click “install now!” You are done with all the technical stuff!!! Choose your Theme. After giving yourself a huge pat on the back for rocking steps one and two, you are on to the easy (but somewhat overwhelming) part! A theme is how your blog gets all pretty and looks so nice and awesome. I recommend starting with a free theme — wordpress has a ton and you can find them here. When you’re ready to move to a paid theme, many folks like the Genesis framework to build their site. You can find that here. I currently run Eat Pray Run DC on the Genesis framework and love it! You did it! You now have a functioning blog — enjoy your new blogging adventure! Note: there are affiliate links in this post but I use and recommend every product mentioned in this post. I love Bluehost!